Payout applicable only on Domestic flights. Earnings from GoAir can be redeemed as vouchers or in Bank account. Smart Flyers, we have good news! Now you will get flat 60% + 40% cashback via OYO Money off on OYO. Simply book your flight tickets on GoAir website or GoAir app and avail the offer. Visa Free Thailand Offer : Fly direct to Phuket. Enjoy a romantic walk on silver sands or dive into the crystal clear waters while you explore Phuket. With pristine beaches, fresh seafood and great weather there are a ton of options for travellers to choose from. What’s more, there’s no visa arrival fees until 30thApril, 2019. GoAir Discount Offers : Now Pre-book your Smart snack for an appetizing Meal, beverage and sweet treats when you fly @ just Rs 149 for Veg and Rs 169 for Non veg only. There is no choice of Smart Snack available in-flight. Any one of the below mentioned items would be available. GoAir Defence Special Offer : The offer of Discount on base fare and other benefits are applicable to all serving and retired Indian armed personnel and paramilitary personnel, their spouses and dependent children. Checkout the landing page for more details. If you want to travel in luxury and at a low cost, then Go Air is the place to book your next flight. They commenced operations in November 2005, and by 2016 they were the fifth largest airline in India. GoAir operates in 23 destinations across India, making over 140 trips daily. Along with winning the Best Performing Airline by Airbus in 2011, they also claim to be one of the lowest costing air carriers in India. Just as GoAir keeps travelling convenient and within your budget, Zingoy, with your convenience in mind, helps you save even more by bringing you a wide range of offers all at one place. 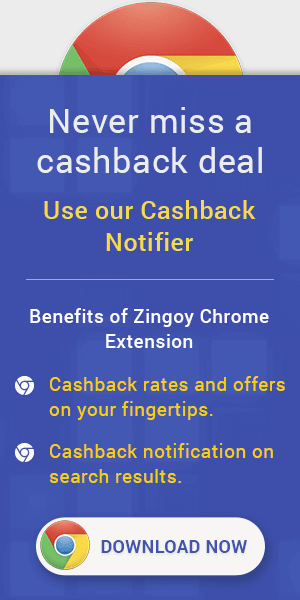 Get aboard GoAir by booking your tickets on Zingoy to earn cashback along with your comfortable travel experience. You can also earn extra cashback when your family or friends book through your links to enjoy all those family outings and sudden group adventures.